Have you downloaded all of The Wooden Bear's FREE Monthly Printables, and now you're wondering, "How in the world do I make these?!" 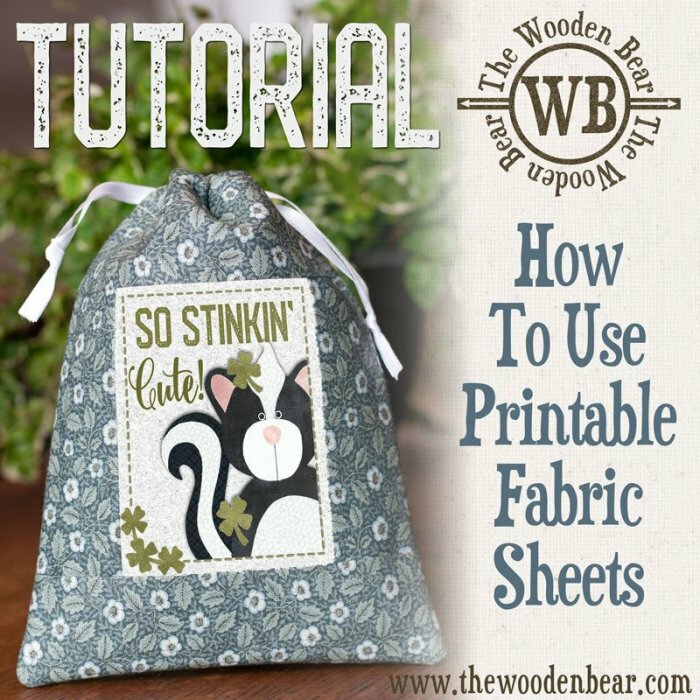 We thought it would be good to give a simple tutorial for those of you who have never used printable fabric sheets, or those of you who are just a little intimidated. If you know how to print a document from your computer, then you have already completed 95% of your training! It's that easy! Click here to see all of our MONTHLY FREEBIES! 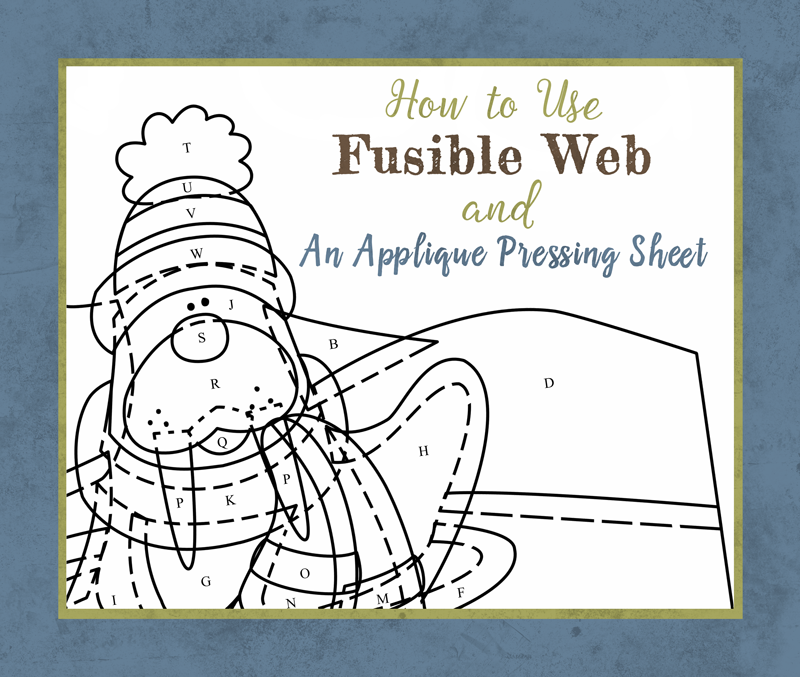 I have been wanting to do this tutorial for quite some time now, as almost all of my designs involve fusible applique. I know there are many quilters out there who have never heard of, or never used, the applique pressing sheets... or maybe are just afraid to give it a try. Being that it is quite possibly my very favorite tool in the quilt room, I thought it was time to spread the word, and hopefully bring a little enlightenment to how it works! I’m using my Polar Walrus Patternlet as an example. This design is perhaps a little complex if you’re a beginner, but it allows me to show you a few tricks that you might use down the road. We have several Patternlets on our website that have fewer pieces, and would be a great beginner project. Let’s get started! To purchase the book, click here! This is a slideshow preview of our Anchors Away book and the included graphic disc. This will give you a quick look at several of the projects that you can make from the book and disc, and a simple overview of how to use the disc to make projects using printable fabric sheets, printable heat transfer, printable vinyl, magnet sheets, and even paper! The disc includes over 200 graphics from which to choose, giving each project numerous options! For more detailed information about opening and using the disc, see our video below, Anchors Away- Using the Graphic Disc. This is a video tutorial to show you how to open, navigate, and use the graphic disc that is included with the Anchors Away book. The disc contains over 200 graphics from which to choose.